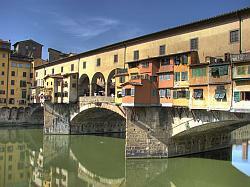 Rome, Tuscany, Florence: three of Italy's most popular destinations combined for one amazing holiday. Start your vacation in Rome, and spend four days among the ancient ruins. You then travel by rail to Florence where you will pick up your car rental and make your way to the rolling hills of Tuscany. You will have three days to explore the region full of sunflowers. Then drive yourself back to Florence you will return car and explore the many museums and galleries housing famous art in this renowned city. Established in 1990, Europe Express specializes in providing high-quality, affordable custom vacations to Europe. The company serves both group and FIT leisure markets, working exclusively with travel agents to book everything from air and rail to hotels and sightseeing tours. With over two decades of experience, buying offices in Europe, and a well-traveled reservations team, Europe Express provides seamless service before, during, and after each trip. The company's expertise, dedicated international team, and excellent partnerships with ground suppliers allow it to tailor any vacation experience based on needs, interests and budget. As a member of the Travelopia, Europe Express helps form one of largest and most successful leisure travel and tourism organizations in the world.